Today the Prime Minister will trigger Article 50 of the Lisbon treaty which will signify the formal start of the two-year negotiation for the terms of Britain’s exit from the European Union. While it is important to stress that the UK will remain a member of the EU for the next two years with no immediate change for universities, I know that the triggering of Article 50 will heighten concerns among many of you. With this in mind, I thought it would be helpful to update you on some key areas that will be of importance to our staff and students, and to reassure you that the University will continue to work with Universities UK (UUK) and others to ensure the best possible outcome from the negotiations. At this stage there is no reason to assume any change to the immigration status of current EU students and the UK government has confirmed that there will be no change to access to student loans for these students. 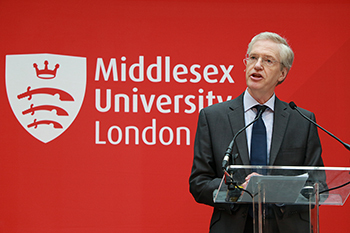 We will continue to work to understand and mitigate the risks to Middlesex as the negotiations unfold and will provide further updates as these challenging issues are addressed.